The “general public/intellectuals” dichotomous schema is one that has been repeated many times right up to the present day. Words like “the role of intellectuals is to turn our ears to people’s voices that have gone unheard as representatives of the masses, and lift these voices up” cannot help but sound a bit hollow in today’s world. In the process, the “/” between the general public and intellectuals is erased. In other words, intellectuals can no longer maintain a privileged position, and ordinary people can talk about things with them eye to eye. This may be something about which we should be happy, since all things are subject to study, and both intellectuals and ordinary people have their own “fields” (“fields” = workplaces, life, writings, and experiments, and thus are not limited to knowledge of the humanities) on the basis of which they can exchange words. On the other hand, this can come to resemble a flat space lacking in direction. What is the research we are conducting in the “field”? And where is the “field”? With these questions in mind, I chose Masamichi Shinmei, a figure active as an intellectual (sociologist) in the pre-war, wartime, and post-war periods as the target of my research. 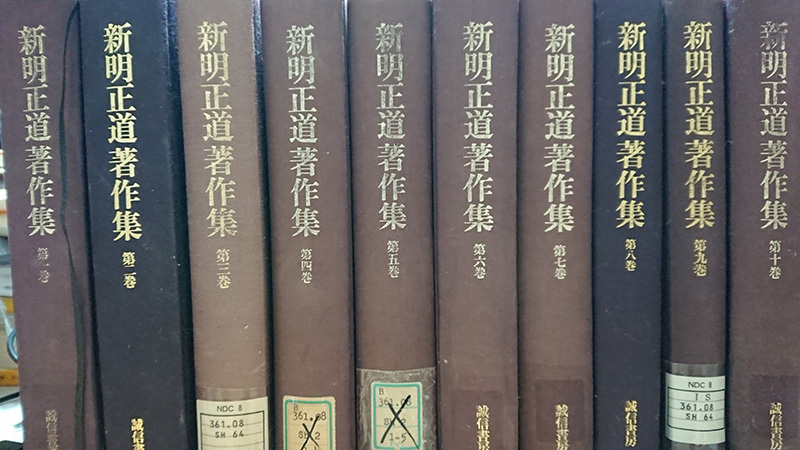 From the 1930s onward Shinmei mainly laid out his thoughts in the form of commentary on current affairs. Shinmei laments the fact that “Today’s intellectuals…have been made surprisingly powerless, and are becoming skeptical. We intellectuals are stupefied, like people who have lost their myths” (note 1). In other words, he and his fellow intellectuals had been cast out like “plants without roots,” wandering about without knowing where they came from or where they were going, their foundations having been ripped out. The 1930s can be described as an era during which intellectuals were exposed to such circumstances. Looking back at this time in history, we can see that following this period these “people who have lost their home” took one of two paths. Faced with such circumstances, Masamichi Shinmei took neither of these paths. With his eyes fixed on the prospect of “revolution,” he did not fall into being an “intellectual.” This approach led to Shinmei being condemned as a “convert” after the war. In Kyōdō kenkyū tenkō gekan [Joint research conversion final volume], Shisō no Kagaku Kenkyū Kai [Scientific Study of Thought Research Association] positioned him as having undergone a “group-type conversion from socialism to nationalism through the catalyst of synthetic sociology or behavioral sociology” around 1940 (note 2). To me, however, too much is thrown away if he is merely criticized as a convert. 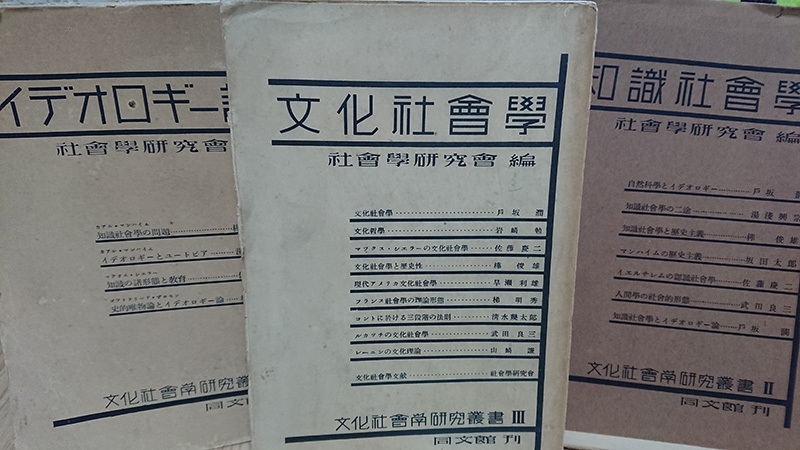 Even in the midst of the war, Shinmei did in fact continue to call for “political ‘revolution’” – along with politics being politics, he also sought the creation of a new politics that would transcend politics (note 3). Who exactly was Shinmei, who could be called a sociologist, a commentator, and a convert? I have tried to give a sharper outline to the figure of Shinmei that has until now been blurry and indistinct. The “research” Shinmei did in the “field” exists in the impossible position of those who had been cast out as “people who have lost their home” but nevertheless thought about “revolution” in extremity. Having been cast out as “people who have lost their home,” while avoiding limiting their footing to being Japanese, he and others like him engaged in tentative construction. To thereby initiate a new politics was the vision of “revolution” presented by Shinmei. Experiencing this kind of “field” for ourselves – is this not the sensibility required of of us? (Note 1) Shinmei, Masamichi, 1938, Bunka no Kadai [Cultural Issues], Kawade Shobo. (Note 2) Shisō no Kagaku Kenkyū Kai, 1962, Kyōdō Kenkyū Tenkō Gekan [Joint Research Conversion Final Volume], Heibonsha, pp. 472-423. (Note 3) Shinmei, Masamichi, 1941, Seiji no Riron [Political Theory], Keio Shobo.